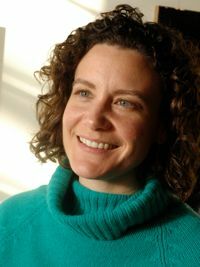 The Arlington Arts Center (AAC) has announced that its Executive Director, Claire Huschle, will step down as of August 1, 2011, after six years in that capacity. What Huschle has done at the AAC over the last six years has been spectacular, to say the least. She took over the organization just after it had reopened after an unexpectedly prolonged renovation, and we're told, had limited earned income and very little foundation or corporate support. Huschle not only turned that around, but she also put the AAC on the arts map of the DMV with a professional ferocity that nearly eclipsed everything else going on the visual arts in Arlington, and then (by example) led the way to make that city an unexpected rising artstar, some would say a leader, of the cultural tapestry of the greater DMV. She leaves the AAC, a private, non-profit visual arts organization, on stable financial footing with a healthy operating reserve and respected exhibition, education, and studio residency programs. Board President Penne Nelson states, "The AAC has been privileged to have Claire Huschle serve as our Executive Director during the last six years. Her enthusiasm, professional leadership, and insight have guided the AAC through a period of incredible development, marked by increased community outreach and recognition. She has assembled a fantastic staff and cultivated new donors. The Board has enjoyed immensely working with Claire, and wishes her the best in her future endeavors." Because I have known Huschle since she worked as the gallery director for the Target Gallery in Alexandria, and because I saw (over her tenure there) what a terrific job she did to change the rudder orders for that gallery and aim it in a direction which put Target at the head of all Alexandria galleries, that I knew that she was going to do great things at AAC when she took over that organization six years ago. And because of what she has done now at AAC, I have little doubt that Claire Huschle will excel at whatever her next position or assignment is. I am told that "Huschle will continue teaching as an adjunct faculty member at George Mason University's Arts Administration graduate program and is considering a number of new projects in the arts." A transition committee has been assembled and plans to appoint a new Executive Director this summer. On behalf of all art fans around the DMV: Thank you Claire!